Join AAAYA New York for the Yale Day of Service! AAAYA New York has volunteered at the Yung Wing School for 8+ years. The school serves 800+ elementary children, mostly from immigrant families. For the Yale Day of Service, we are primarily responsible for helping out with gardening initiatives at the school (e.g. : cleaning/beautifying the garden, arranging new plants, etc.) In the past, we have also prepared teaching materials for teachers, organized the library and provided administrative assistance to the Principal’s Office. We will conclude the Day of Service with an optional and brief walking tour of Chinatown and a no-host dim sum lunch at 88 Palace Restaurant. 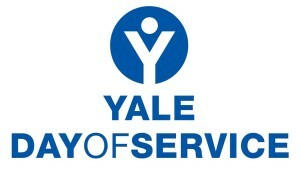 Sign up for Yale Day of Service by clicking here. For more details, email Angela.choi@aya.yale.edu. To RSVP for the dim sum brunch, email Yoon-jee.kim@shearman.com. P.S. On May 20, 2016, the Yung Wing School (PS 124) will host a banquet in celebration of its 40th Anniversary at Jing Fong! New York State Senator Daniel Squadron (YC ‘03) will be the Keynote Speaker. Come join us for this celebration and/or support AAAYA’s 1/2 page Journal Greeting!